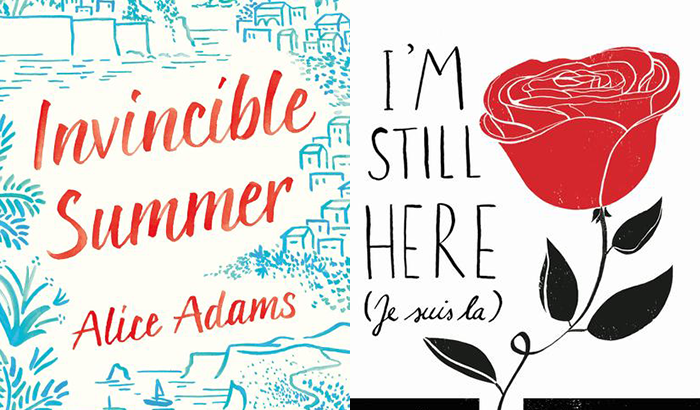 This summer I was approached by Hachette Book Group Canada to review two emotional and heart wrenching titles - Invincible Summer by Alice Adams and I'm Still Here (Je Suis La) by Clélie Avit. Upon learning more about each title, I was excited to dive into two completely different but promising contemporary titles, titles I would later find were some of the most captivating and intense reads I've ever read. "Four friends. Twenty years. One unexpected journey." Invincible Summer focuses on a group of friends who have, essentially, gone through the most exciting years of their lives together. After graduating college, the group separates and moves on to greater things, either career-wise or socially. Many years later, the separated group of friends begin to yearn for their younger, more exciting years, and take it upon themselves to gather again and relive their pasts. 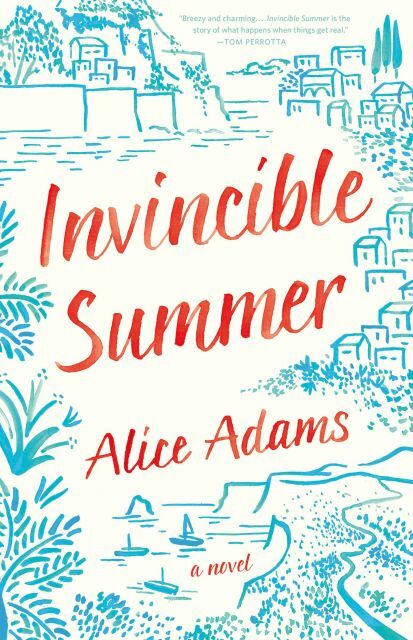 A perfect depiction of the struggles many young adults (and older adults) encounter right after high school, and possibly even college, I found Invincible Summer to be a truly inspiring, thought-provoking, and emotional read. I personally identified with many of the characters, and found myself comparing others to people in my personal life. It was very well-written and an absolute thrill to read. I highly recommend Invincible Summer to younger readers looking for a different kind of contemporary title, and possibly even for those who aren't quite sure what their future holds. "I'm cold. I'm Hungry. I'm frightened." 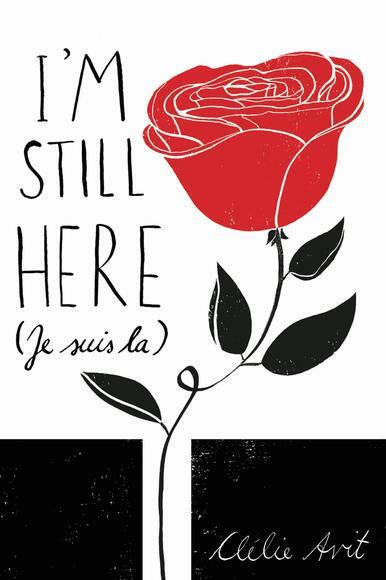 I'm Still Here (Je Suis La) is an English translated title by Clélie Avit. It focuses on the story of Elsa, a girl who finds herself stuck in a coma, forever laying in a hospital bed. Without the ability to see, speak, or move, Doctors begin to believe that she will forever be in an irreversible coma. 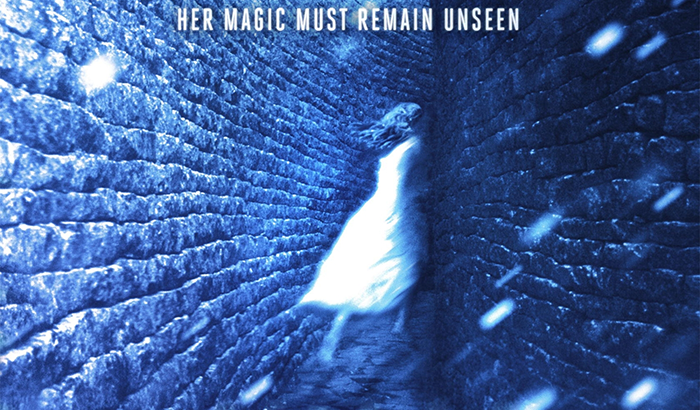 When Elsa suddenly regains the ability to hear, a stranger begins appearing in her hospital room. He begins speaking with her, and a connection grows. I personally quite enjoyed I'm Still Here, although it's not typically my kind of go-to read. I found it to be quite similar to If I Stay by Gayle Forman, minus the teen angst and drama. It was thought provoking, inspiring, and interesting to read Elsa's narrative voice. I highly recommend I'm Still Here to contemporary lovers interested in reading a new and emotionally gripping read. Over the weekend, myself and several other Toronto-based book bloggers were generously invited to visit Simon & Schuster Canada for a fun day of books, treats, and more. Dubbed "Blogger Meet Up - The Sequel", the event spanned for quite a generous portion of the day, making it one of the most exciting blogger events I've ever attended. The event began at 10:30AM in the boardroom of Simon & Schuster Canada head office. 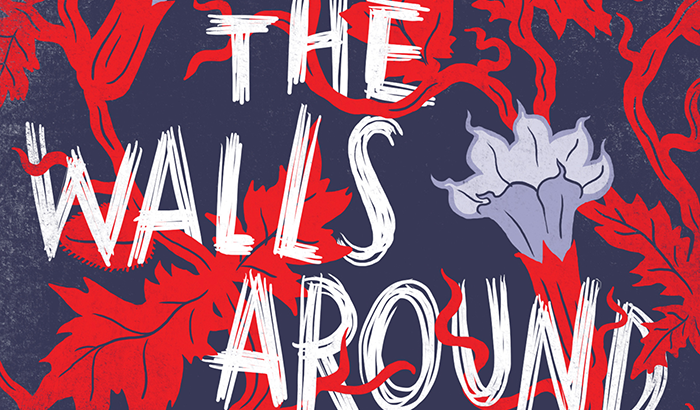 All of the book bloggers (sans Ardo, who was feeling unwell *sad face* ) were early and in attendance, and had all made themselves at home in their spots, ready and eager to learn about Fall's upcoming YA titles. Bloggers in attendance were: Michele, Christine, Michelle, Patty, Joey, Jesse, Tiff, and Amanda - all of which I've either known for years, or have already had the pleasure of meeting on several occasions in the past. Also in attendance were authors Erin Bow (Plain Kate/Scorpion Rules), Kevin Sylvester (Neil Flambe/Minrs), and Kevin Sands (The Blackthorn Key). Jackie and Andrea (our wonderful hostesses for the event) were excited and ready with a day full of bookish awesome, and I can attest to the fact that I was eager, determined, and so ready for the fun! We started with a quick introduction around the room, to which Michele and Christine started that day's infamous O.G. references (meaning, us longtime bloggers being all of O.G. status). Moving along, Erin Bow, Kevin Sylvester, and Kevin Sands were each introduced and spoke warmly about their titles. It was quickly followed by a Q/A session between blogger and author that spanned well over an hour. It was by far the most engaging Q/A session I've ever heard. We discussed books, short stories, favourite reads, writing techniques, and so much more - it was wonderful! After the Q/A, we paused for a delicious lunch provided by the wonderful ladies of Simon Teen. I devoured my pulled beef sandwich with gusto and enjoyed the fruit and other assorted treats that were additionally provided. Following our delicious lunch, and a quick book signing with Erin, Kevin and Kevin, Andrea gathered a set of wrapped book titles, decorated in images and words describing the book inside, and commenced one of the most intense guessing matches ever, one of which would soon be followed by another from Jackie. Bloggers were asked to guess the title by observing the clues written/drawn on it's outer wrapping, and the first to guess the title out loud would be taking the title home. I took home The Lost Property Office by James R. Hannibal, a novel for younger readers about a 13 y/o Jack Buckles who is excellent at finding lost objects, but is then tasked to find the Ember: an item which holds the secret that has been kept since the Great Fire of London. Following the guessing games, we were then given some bookish trivia to win two highly anticipated ARCs. One would think the trivia would be easy, but I only managed to score a measly 6, the winner having scored a 12. Following the trivia, we broke out into one final game, Jackie and Andrea dubbed "Pictionary Broken Telephone". Each blogger was given a long sheet of paper and were asked to write a book title. The blogger was then asked to fold over the title and pass the paper clockwise to the next blogger, who would then attempt to draw the book title. Following suit, they were then asked to fold over the drawing and the next blogger (clockwise) would then have to guess the book title. The game continued until our long sheets were filled. 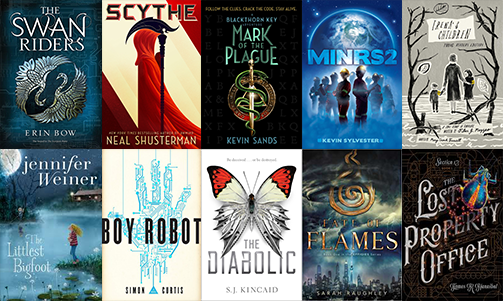 My title was Legend by Marie Lu. Unfortunately, I'm not sure what the final guess was, but I heard of some fairly interesting ones! 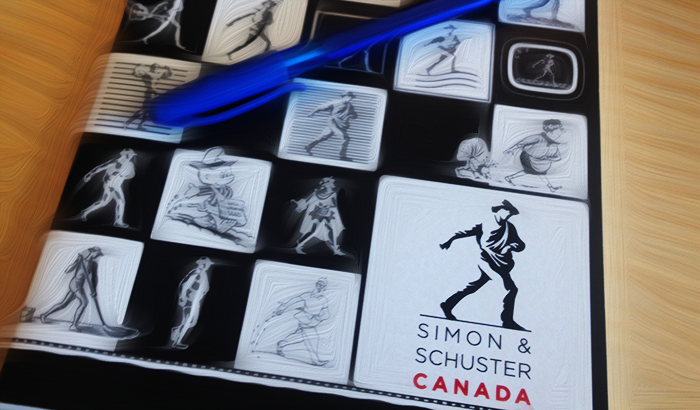 After many laughs, games, and exciting discussions, our fun bookish day with Simon & Schuster Canada came to a close. We were all given brown paper bags filled with goodies, books, and more upon leaving and even snapped a group photo (pictured further above in the post). I positively had a wonderful time with the ladies of Simon Teen Canada, Erin, Kevin and Kevin, and my fellow book bloggers. It was a wonderful way to spend a summer weekend! Thank you so much for the invite and working hard to organize such a fun day! Pictured: titles discussed during the blogger event. Complete list and links can be found below. A big thank you to the Teen Team at Simon & Schuster Canada (Jackie and Andrea) for putting together such a wonderful day of bookish fun! 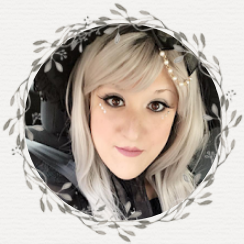 If you're interested in learning about the first book blogger meet, here's my recap! She bears no name. Her silvery appearance is freakish to the numerous inhabitants of Sago, the cosmopolitan capital of Pevorocco in the Western Realm. 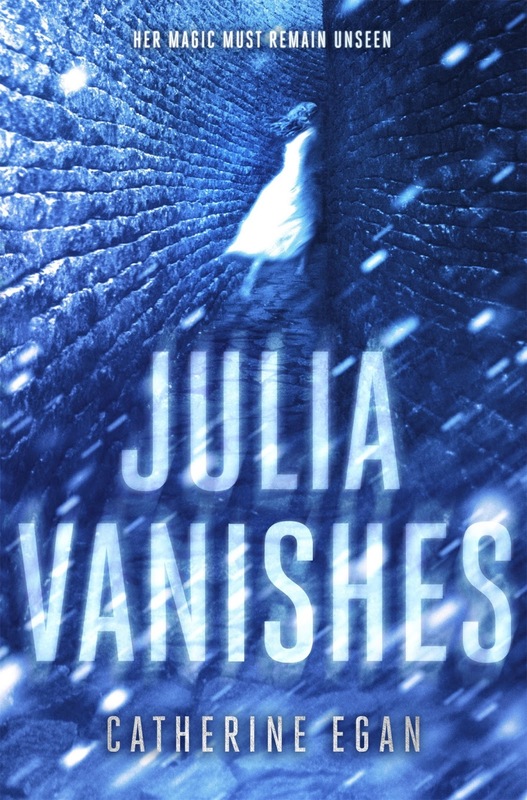 With her mother vanishing at the instance of her birth, she is sent to live with the cruel, rich Ma Dane, where she is punished daily for something, though she knows not what. Tauntingly named Beauty, she flees Sago in a violent uprising that sets out to massacre all Magics and journeys to the farthest point of the country. But can Beauty accept Beast? Eternity is a long time. Now for the first time in paperback, Roses is sure to capture your heart as you fall in love with Beauty and her Beast all over again. Quoted on it's gorgeous new paperback cover, The School Library Journal calls Roses "An unusually powerful retelling of Beauty and the Beast." With this, I wholesomely agree. Roses by Rose Mannering was a title that came to me through countless recommendations, on account I'm a sucker for anything Beauty and the Beast related. I was told that I would fall head over heels for this fantastic new twist on the well loved classic, and I truly, wholeheartedly did! 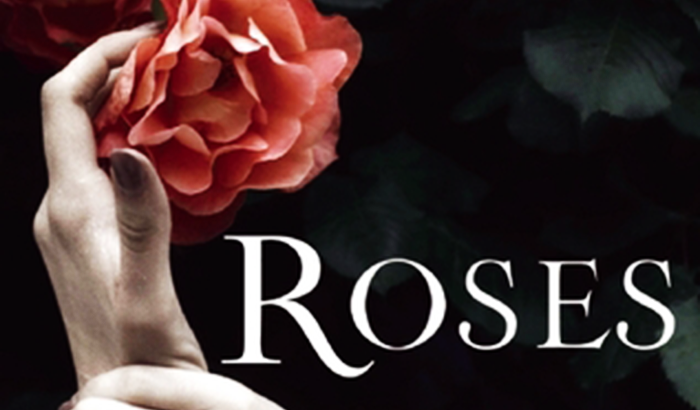 Roses by Rose Mannering introduces a female protagonist who bears no name (Beauty) and features a silvery complexion, something that makes her stand out in the most negative of ways in her hometown of Sago. Daily she is punished by the cruel and treacherous Ma Dane, whom she has lived with since the disappearance of her mother. When a violent uprising happens in Sago, Beauty takes the opportunity to run away from a life of torture and abuse and makes her way into the hillands. As circumstance would have it, a series of events inevitably leads her to the presence of the Beast. Will she accept the Beast? "A sob caught her throat, but she swallowed it. She took the terrible red rose from his fingers and felt the heaviness of it in her hands." Roses was remarkably well-written, descriptive, unique, and addicting. There are countless Beauty and the Beast retellings that I've deeply fallen for (A Court of Thorns and Roses, Cruel Beauty, Beastly, and more) and I'm pleased to say that Roses has made it onto my ever-growing list! The characteristics of Beauty and Beast in Rose's retelling are quite reminiscent of those that we've grown to love, but are unique, in my opinion, in expression of emotion. I felt that the Beast of Roses was quite more honest and genuine with how he felt, anger, sadness, and even love. 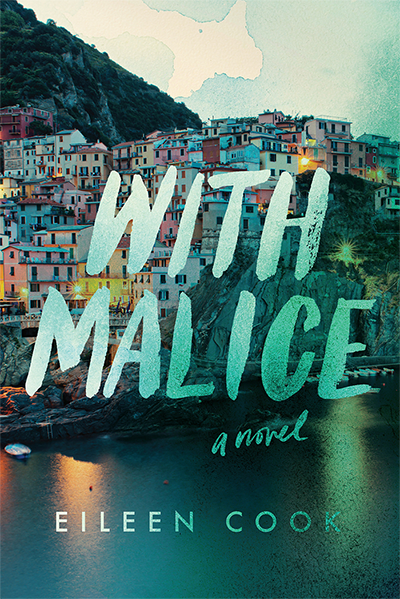 I felt most connected with him than I have with any other retelling, and it was compellingly refreshing.
" 'Ask for a book', said Beast. 'Any book!' Beauty did not think she had ever seen him so animated." 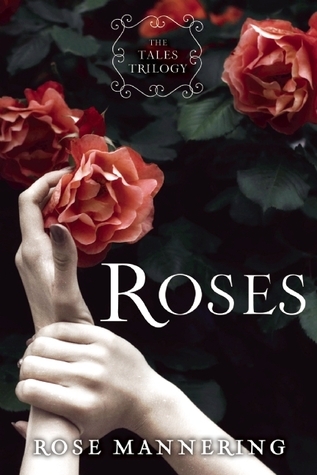 Refreshing, remarkable, and imaginative - Roses by Rose Mannering was a phenomenally addicting Beauty and the Beast retelling! Highly recommended to readers over the age of 12! Furthermore, I am over the moon that the next installment in the series, titled Feathers, is set to be released next month! 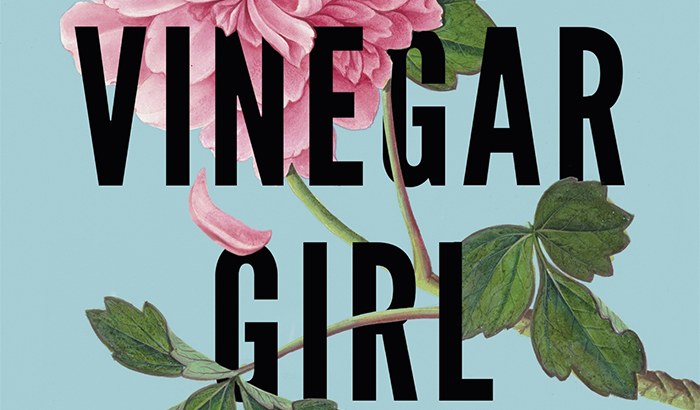 Nova Ren Suma has written some very powerful and emotion enticing reads in the past, Imaginary Girls and 17 & Gone being among some of my favorite go-to recommendations for younger readers. The Walls Around Us felt like an absolute must. There was no denying that I absolutely needed to dive into this novel face first and stick with it to the very end with no pause. An all-nighter was mandatory, and boy was it worth it! Nova Ren Suma's The Walls Around Us truly delivers. Featuring a unique tale about two girls who are strangers but inexplicably connected, Nova's latest truly inspired me to look at the bigger picture. Readers, don't walk into The Walls Around Us unprepared. It's a title that absolutely requires you to get to the very last page. It is enticing, addictive, dark, mesmerizing, mysterious, and oh-so trippy. In fact, there is no other title I can quite compare to this one, or a way to properly describe how intensely it left me in thought. The tale(s) of Amber and Violet is a heartbreaking one, one of that is odd but also part paranormal and mystery. It should go without saying further, although I feel it is an absolute must, that The Walls Around Us is Nova Ren Suma's greatest work to date, and that I can only hope for more titles that will leave me in such awe in the future. Bravo! 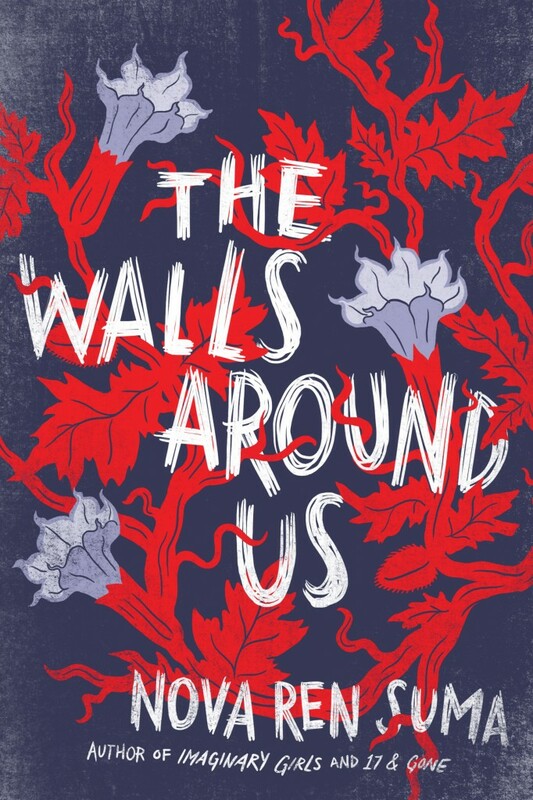 Nova Ren Suma's The Walls Around Us is book club worthy, and an absolute must for young adult readers and beyond. The third book in the Hogarth Shakespeare series, a major global initiative the Guardian calls "The great rewriting project of the 21st century" Shakespeare's controversial comedy "The Taming of the Shrew" sees wilful, independent Katherina transformed into a willing, obedient wife to Petruchio. It is one of Shakespeare's most re-visited plays, with adaptations including "Kiss Me Kate," and "10 Things I Hate About You." Anne Tyler's delightful "Vinegar Girl" features Kate, a socially awkward young woman, adored by the preschool children she teaches but misunderstood by her peers. Her father is a scientific genius, but not so great on emotions. About to lose his (equally genius, equally socially inept) research assistant, Pyotr Cherbakov, because of visa problems, and desperate to save the project that is his life's work, he comes up with a plan: Kate will marry Pyotr who will then be able to stay in the country and finish the project. The plan sounds perfect, except for one small hitch: Kate. I, regrettably, have yet to have the opportunity to dive into the other titles in the Hogarth Shakespeare series. Not due to disinterest, but simply due to lack of time. Fortunately enough, Penguin Random House gave me the opportunity to review Vinegar Girl, Anne's take on Shakespeare's The Taming of the Shrew. After reading the synopsis for this one not long ago, it's fair to say I've been wiggling with anticipation for it's arrival on my doorstep. "He was gazing at Kate admiringly. Men often wore that look when they first saw her." This book was PHENOMENAL! 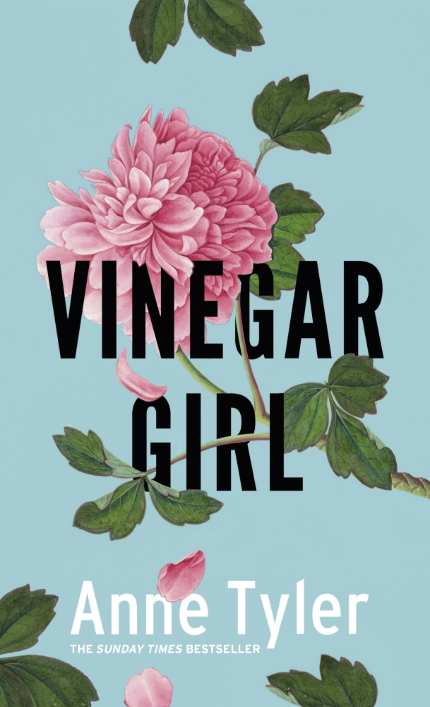 Hilarious, spontaneous, and everything in between - I was immediately taken with Vinegar Girl by Anne Tyler. Kate was a wonderful character with a bright personality that truly came alive for me from page to page. She had me chuckling, sighing, and completely smitten by every event. Furthermore, as far as reinterpretations go for Shakespearean classics, Vinegar Girl was by far the most real and best written I've come across to this date. Kate, her father, Pyotr, and the twists and turns throughout the title had my complete attention right to the end. I pulled an all nighter in order to complete it, and it was not a disappointment! Readers, I beg you to give Vinegar Girl a try. Perfect for the reader who needs a well written title with excellent character development, humor, and emotion, I positively adored it and I'm certain you will, too. Not long ago, I was approached by Simon & Schuster Canada to review two deliciously exciting tales that take place out at sea. With summer just around the corner (at the time) I pounced at the opportunity to read them. Without spoiling my review (which you can find below) I can honestly say that these two titles, although similar in setting, were vastly different and completely blew me away. I absolutely cannot wait to hear what others have to say about My Last Continent and What We Become! Below, you will find my comparison review on both titles. Happy Reading! Everyone knows the legends about the cursed girl--#1 bestselling author and Dagger Award winner Arturo Pérez-Reverte delivers an epic historical tale following the dangerous and passionate love affair between a beautiful high society woman and an elegant thief. A story of romance, adventure, and espionage, this novel solidifies Pérez-Reverte as an international literary giant. Earlier last month I was approached by Simon & Schuster Canada in regards to reviewing What We Become and My Last Continent. What intrigued me about these two titles were how similar they both sounded in setting, but how drastically different they were in circumstance and event. 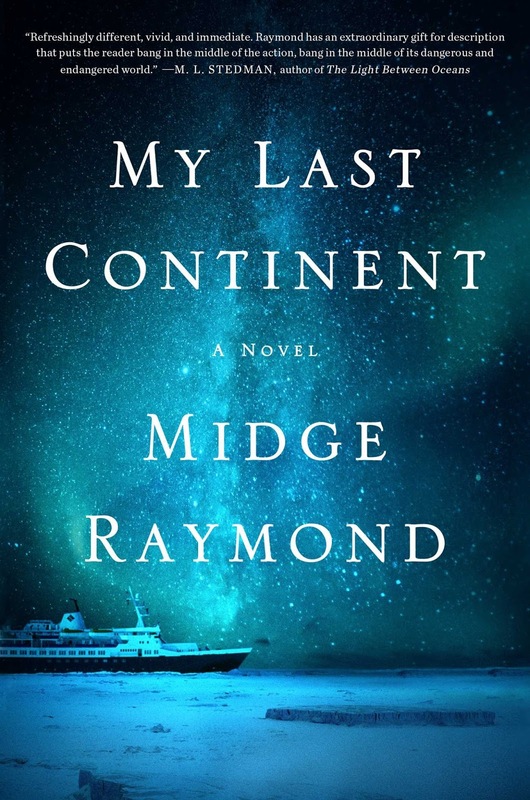 I was eager to dive into these two titles and couldn't wait to see what Arturo Perez-Reverte and Midge Raymond both had in store for me in these highly anticipated summer reads! 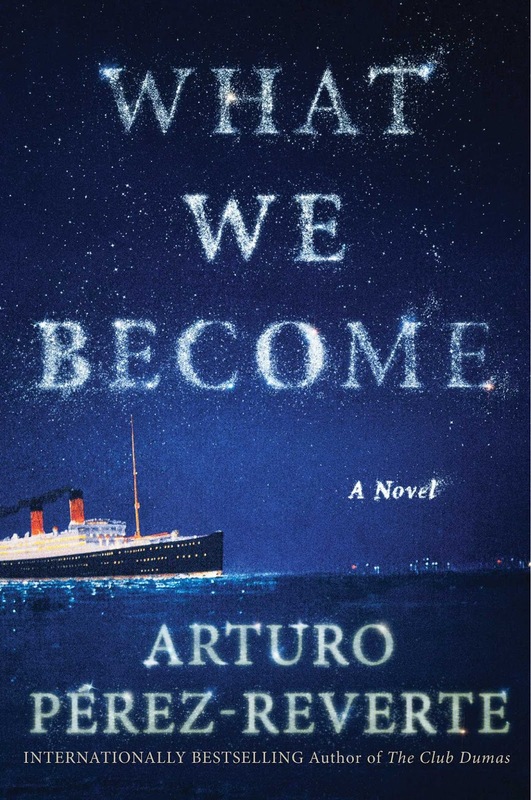 What We Become was the first title I picked up as part of my binge read. Taking place en route from Lisbon to Buenos Aires in 1928, it features a passionate love affair between Max and Mecha on a luxurious cruise ship. This passionate affair, although at first assumed to have ended on that cruise ship, follows the duo throughout the years in a variety of circumstances. Perilous missions, disastrous encounters, all filled with suspense, are a few of the events that pull this duo together, and it irrevocably had my attention from beginning to end. It was enchanting, wonderfully written, and ignited my imagination. I adored it! Max and Mecha were phenomenal characters that captured me, heart and soul, and had me gripping the pages and begging for more. It was perfection! Next, I immediately dove into My Last Continent. This one had a more suspenseful premise so I saved it for last, and was right in doing so. The tale follows the yearly ritual of Deb and Keller, whom often escape for an uninterrupted romantic getaway. However, this time Deb receives a distress call from a cruise liner and later discovers it's the very one Keller is one. In what has to be one of the most compelling dramas I've ever read to date, Deb was a character that truly pulled me into the thick of the story. She was a compelling character that truly shined during the high stakes events throughout the title. I was utterly enthralled! What We Become and My Last Continent, although quite similar in origin setting, were vastly different in aspect of event, suspense, and even character growth. I absolutely adored both titles to pieces and found that reading both back-to-back to be one of my most unique reading experiences. 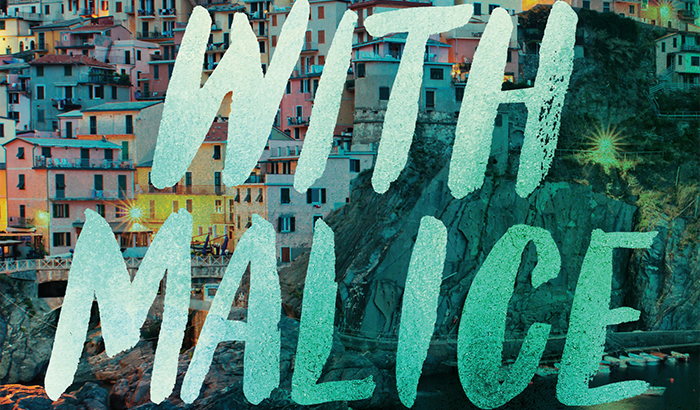 Like looking at two sides of the coin, What We Become and My Last Continent is sure to have everything a reader is looking for in their next compelling summer read.